The unfortunate aphorism, “Those who can’t, teach,” is largely untrue and completely misleading where it comes to music instruction. A large number of accomplished musicians – those who play in major philharmonic orchestras – also teach in schools as well as privately. According to a study by Music School Central, a music college admissions advising firm, “being versatile is probably the best bet to making money as a musician,” says founder Bill Zuckerman. “The majority of successful musicians I know teach, arrange, compose and play in an ensemble.” He cites one study of recent graduates with music performance or music education degrees, more than half of who found work in performance or education within four months of graduation. 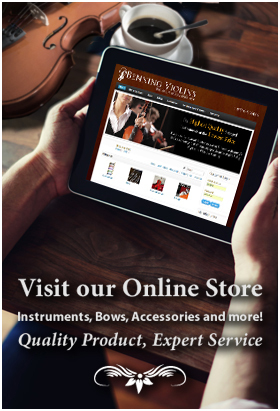 Ask friends, trusted educators and staff at the local violin shop. 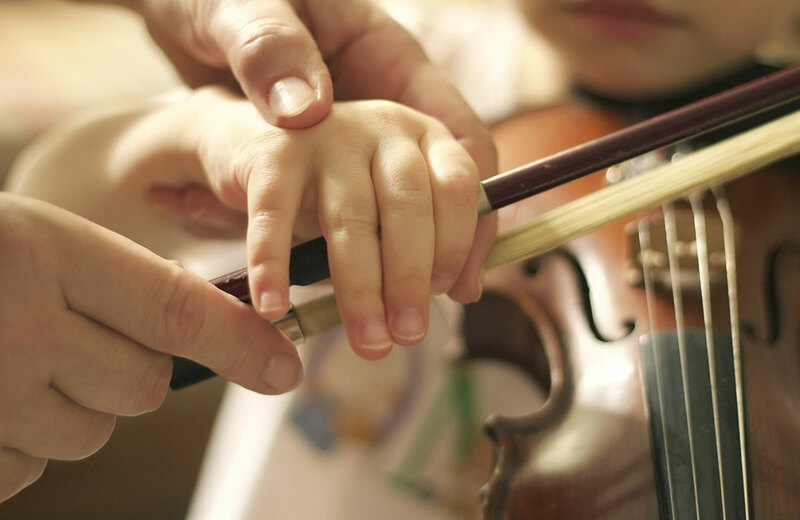 Particularly for beginners, ask about violin teachers who successful inspire children who are picking up a stringed instrument for the first time. The violin maker at the local violin shop will likely know many violin teachers, for example, and might have a sense of how many of them find joy in teaching. If that doesn’t yield satisfactory results, try the American String Teachers Association. They have a search function by location, instrument (viola, brass, woodwind, etc.). Ask questions.The teacher who is good for student A might not be the best for student B. As the parent, you know your child’s level of interest and discipline. Ask questions of a prospective teacher that have to do with your child. How much practice (hours per day/week) will make for a good student? At what junctures (quarterly?) should we check in on progress? Have you worked with a student with these characteristics (age, academic performance in other subjects, affinity for certain styles of music, etc.)? Ask for references.Once you identify a potential teacher, you want to know what the experience of other parents and their students have been. This may not always be successful as some teachers will be reluctant to share information about existing students, but that will be determined on a case-by-case basis.